For super fans eagerly awaiting a taste of Warner Bros. Pictures’ and Legendary Pictures’ “The Dark Knight Rises,” the wait is over. 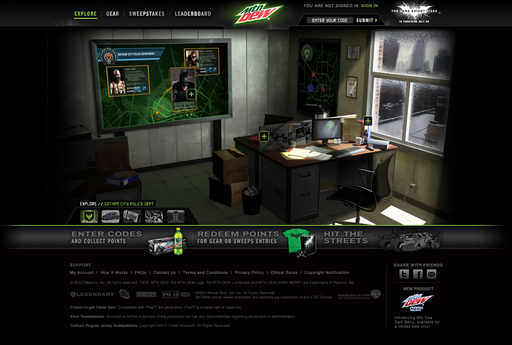 Today, Mountain Dew® launched the highly anticipated DEWGothamCity.com, a hub including never-before-seen Dark Knight content, which provides unprecedented access to Gotham City. From a deeper look at the Dark Knight franchise to exclusive content that helps to bridge the eight-year gap between the trilogy’s second and third installment storylines, DEWGothamCity.com is the ultimate destination for fans looking to experience “The Dark Knight Rises” before the film’s opening day, Friday, July 20. The Applied Sciences lab, where Batman’s tools and tricks are developed, including his one-of-a-kind vehicles and Bat-Suit. The Gotham City Convenience Store, where you can pick up the virtual issue of The Gotham Observer to read up on the latest headlines from every corner of the city. The Gotham City Police Department, where users can get to know new characters, rifle through the files of Gotham City street renegades and upload their own mug shot. 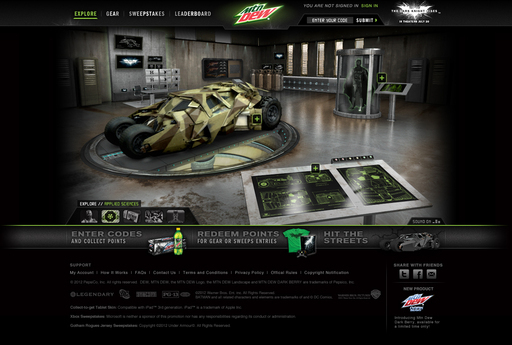 The culmination of the DEWGothamCity.com experience lives in the Bat Cave, the site’s maximum security lair that conceals exclusive, never-before-seen video from “The Dark Knight Rises.” The Bat Cave will remain locked until July 8, unless DEW and Dark Knight fans work together to redeem five million DEW product codes. 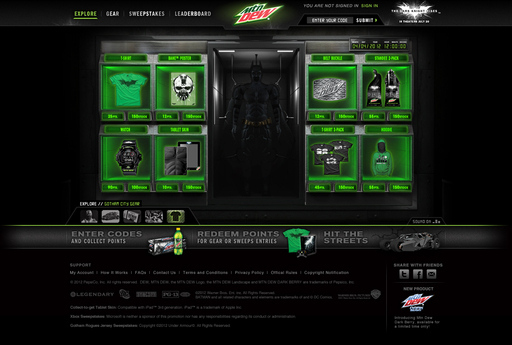 And if exclusive Gotham City access wasn’t enough, DEW is upping the ante with chances to collect gear and win prizes, such as tickets to advanced screenings. 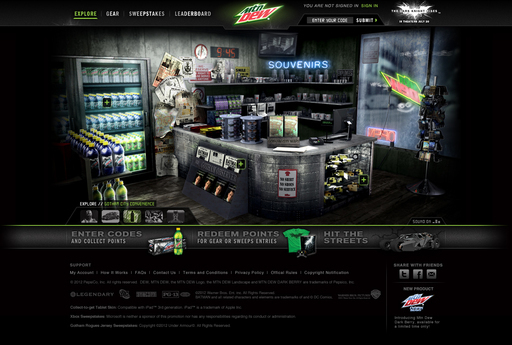 You can access the website by going clicking here. Opening in theaters and IMAX on July 20, Nolan’s third and final Batman movie stars Christian Bale, Michael Caine, Anne Hathaway, Tom Hardy, Gary Oldman, Marion Cotillard, Joseph Gordon-Levitt and Morgan Freeman.